It is disappointing to admit that most of the times we do not have one brand to trust when buying things. As much as possible, we want to have a decent brand to break our trust issues and patronise just one brand that gives the best quality and affordability. With that, we could say that “this brand offers high-quality products” because their products are already tested and proven by us. At the same time, it is time-wasting to find a bulky and heavy thing in the market and then go home without anything. Here, we listed down the most valued products from a brand that you can trust with your desired materials. We got you here with the list of our top 10 favourite products of Garden Buildings Direct. 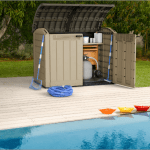 Garden Buildings Direct gives you the products from BBQ grillers to garden buildings such as playhouses, summerhouses, log cabins, and sheds. We can offer your long period of warranty, free delivery, and customisable options of sizes and materials you need for your outdoor space. 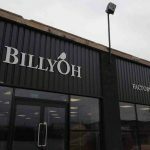 The brand delivers you their Britain-made products which are easy and quick to assemble that directly came from their company. We have amazing pressure treated woods and stainless supplies for your outdoor products. Give them a try and get your dream outdoor building product. Thus, upgrade your garden with one of these to favourites from us and get faster in purchasing another after experiencing their product quality. This 6+1 Burner is unsurprisingly our best selling product because it has a lot to offer and very ideal for your outdoor gatherings. Who wouldn’t love six burners and another one on the side? This can cook your food to perfection because of the thermometer that measures your desired cooking temperature. This is also easily moved around your yard because of the wheels attached to it. Moreover, a wide cabinet for extra storage that can keep everything in one place when you do the cooking is very convenient. Also, a removable grease pan that can be cleaned and used for the next grilling session. 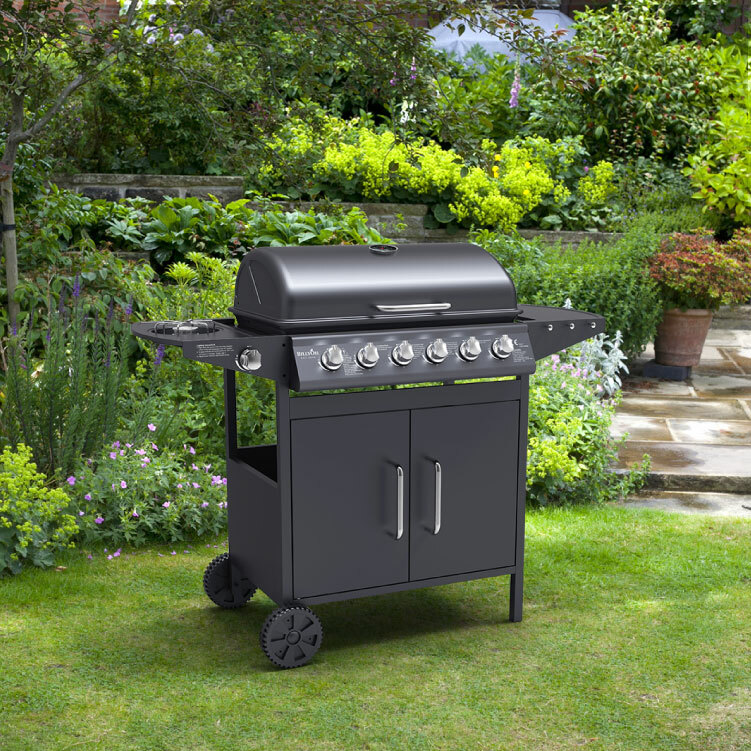 This BillyOh Origin 6+1 Burner Hooded Gas BBQ with Side Burner can give you more joy in spending your money. 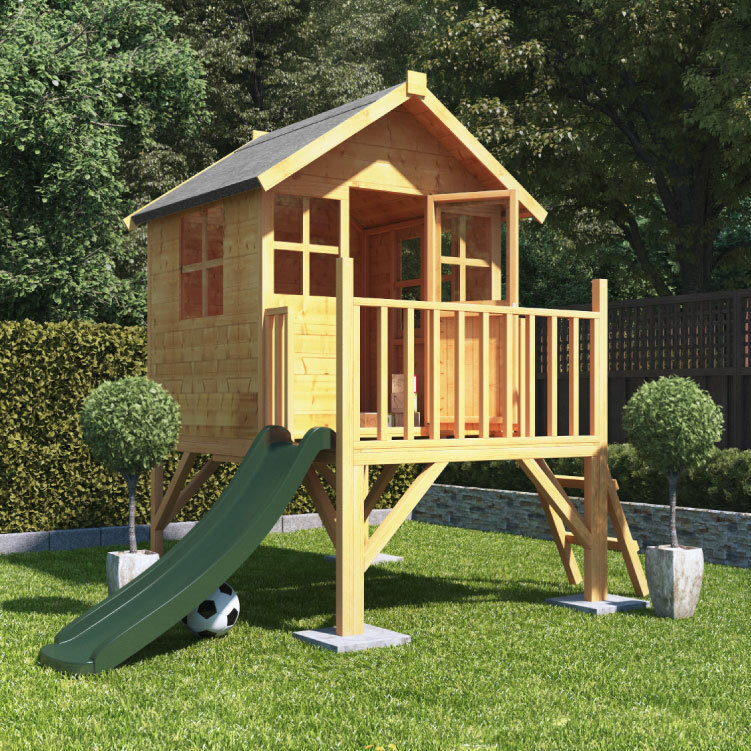 This beautiful playhouse is the top favourite among the Garden Buildings Direct garden playhouses. This BillyOh Bunny Max Tower Playhouse is our most reviewed product because of its amazing functionalities. It can be the classic playhouse for your little boys and girls with its unique design. The apex roof it has makes it airy that let your children easily breathe as they spend their time inside. 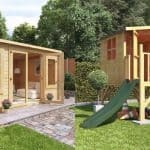 You can also choose what type of roof that suits your needs and a ladder or a slide as this playhouse is elevated from the ground. You are assured of having quality wood materials with this one. This is another favourite product from Garden Buildings Direct which surely deserves its spot in the top 10. 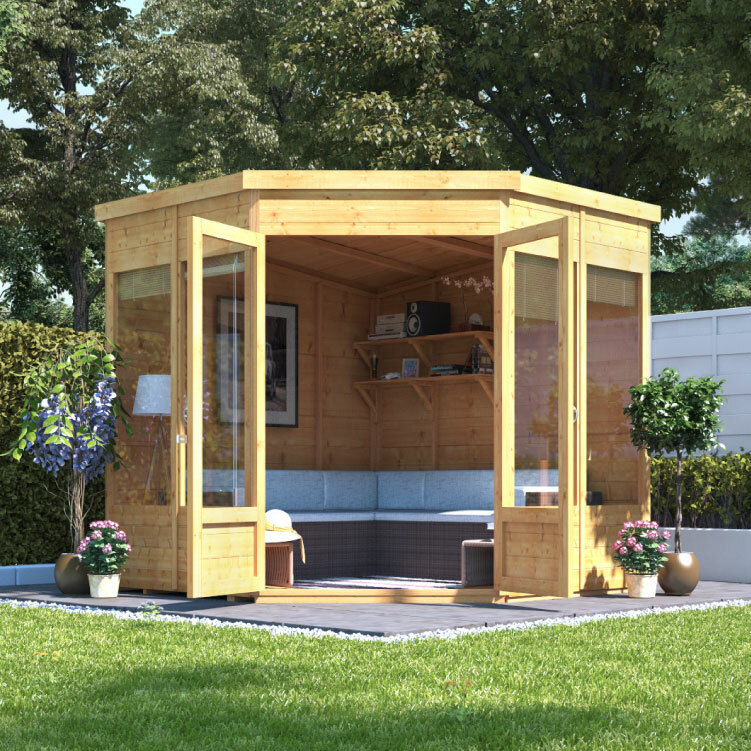 The 7×7 tall BillyOh Picton Corner Summerhouse will be your next asset in the garden. With its wide and contemporary windowed glass and door, you will appreciate your surroundings while you are inside the shed. This can be your future outdoor office, reading nook, or an outdoor place with your friends and family. This 4th top favourite can be yours if you love working in the garden. The BillyOh Expert Tongue and Groove Apex Workshop garden building is perfect for your productivity goals. A garden lover would be eager to have this with its tall and full working space inside. 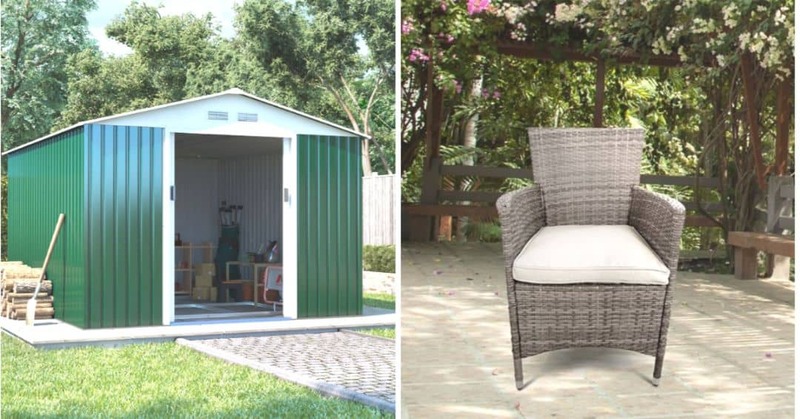 Also, this can store your enormous set of gardening equipment, can be your workshop, or make it another outdoor hangout place to binge watch your favourite TV series while munching. 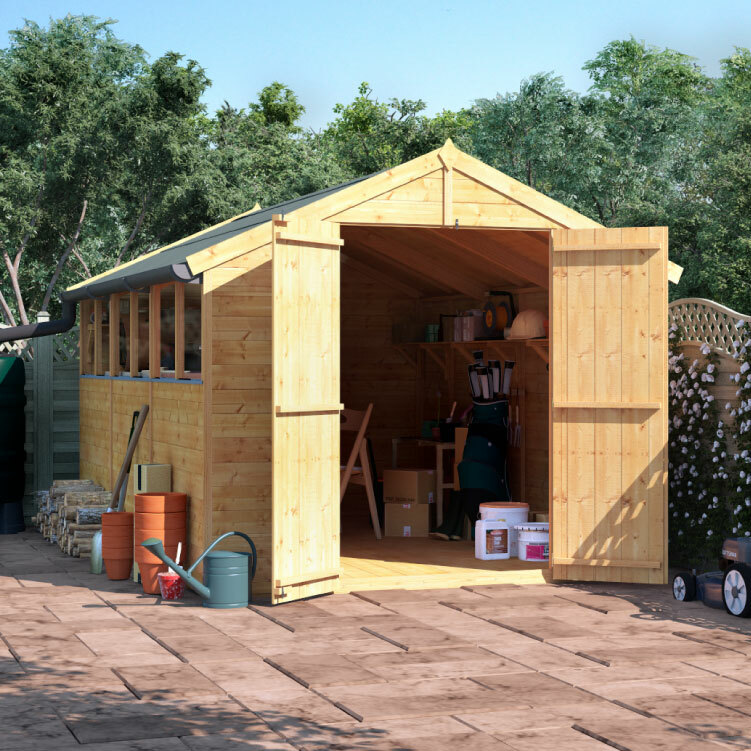 This BillyOh Master T&G Groove Apex Shed gives you a stable build of a shed and a great selection of sizes. If you are planning to upgrade and have bigger plants, store massive equipment, you are confident with this product. This is such dependable storage with its robust and firm wood materials. 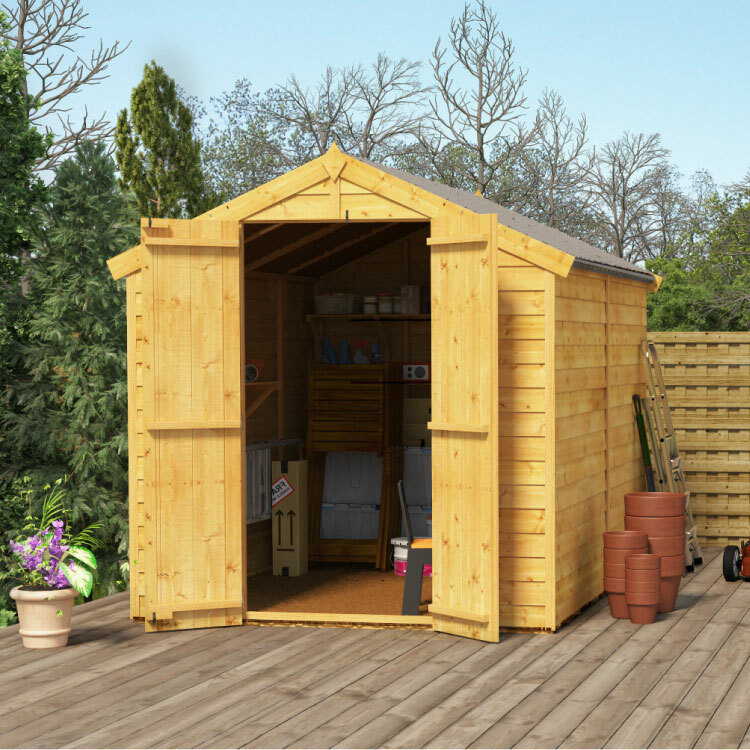 This shed is also one of the Garden Buildings Direct’s customers’ favourite that is much suitable for a small family who loves staying in the garden. 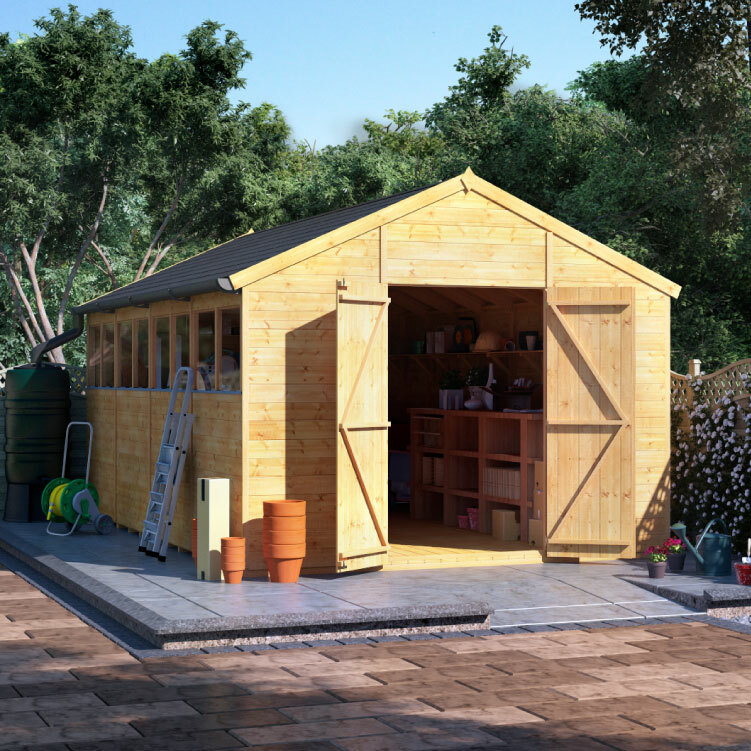 BillyOh Keeper Overlap Apex Shed will let you enjoy more your family bonding during your gardening experience. 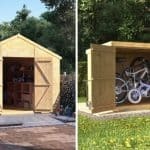 Transform it according to your family needs such as a storage for your kids’ bikes. Your things stored inside this shed will be intact and organised. This metal shed is made up of galvanised steel. 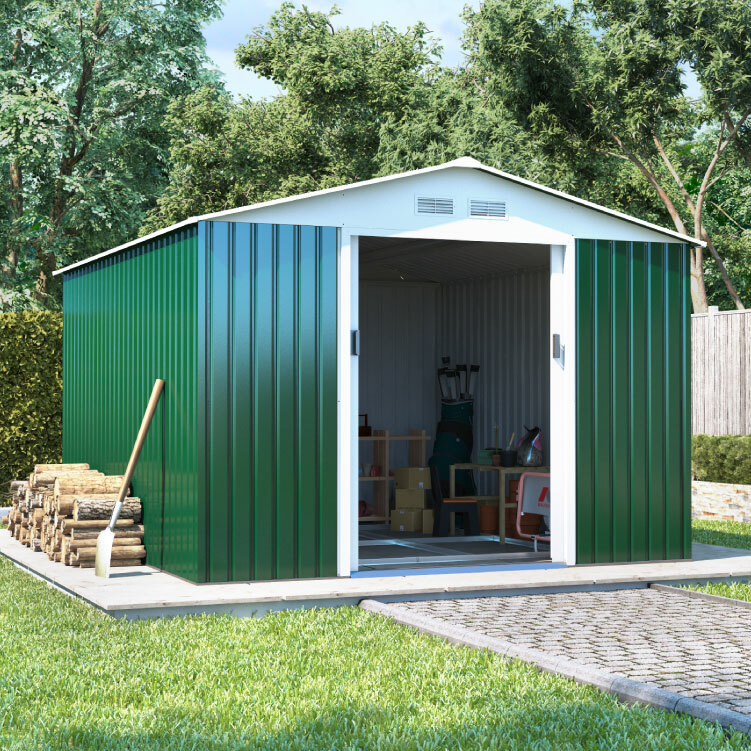 BillyOh Boxer Apex Metal Shed is also a top product of Garden Buildings Direct for it is ideal storage of your DIY tasks and materials. Its features include waterproof that best suits your storage needs. You are guaranteed to have a decent and wide space of storage as this measures 195×165 cm. Moreover, the sliding door makes it look fancy and even give you more space! 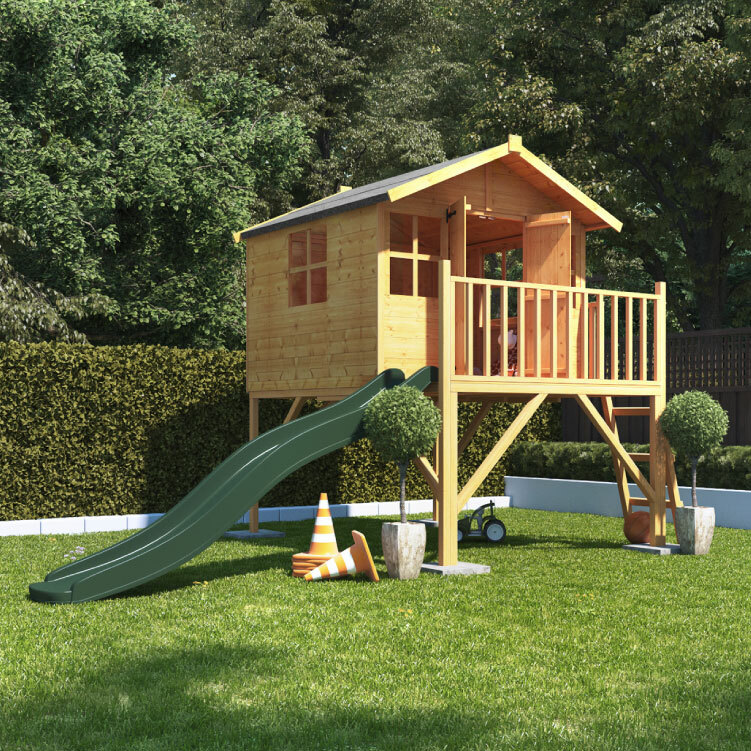 This Lollipop Junior Tower Playhouse from Garden Buildings Direct is part of our top 10 favourite products because of its fantastic features. Because it is elevated and has the optional slide, the playhouse looks more appealing to your kids. Most importantly, with its spacious and four fixed windows, your kids will surely enjoy more hours of playing inside the playhouse. 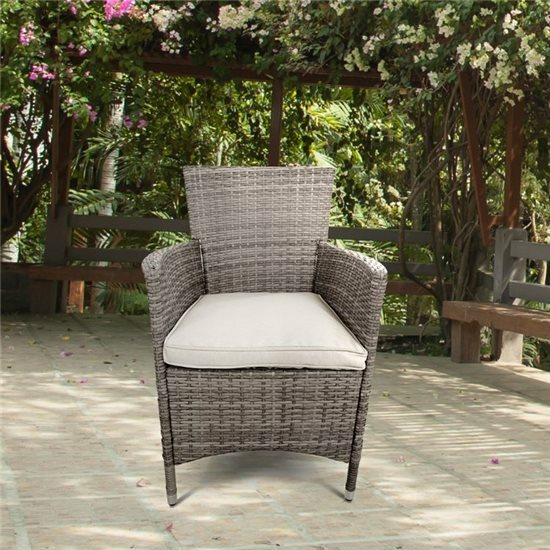 Adding outdoor dining furniture like this BillyOh Rosario Dining Chairs with Cushions will complete your garden set up. Our company made sure that this outdoor garden furniture could fight any natural element worry because of its PE rattan material. This set will not only give you the traditional and casual feels but also the convenience of carrying them around your house garden wherever and whenever you want to put them. Who would not love to have something that can be their second home and a garden centre of attraction at the same time? BillyOh Dorset Log Cabin gives you the confidence of purchasing it with its beautiful design. This can adapt to whatever you want to do with: workspace, private gym, game room, or a movie theatre. Another building and construction of an extension of your dream place will not be necessary anymore with this log cabin. You even have the options and choose the materials that are suitable for your standards. Moreover, we now have new products that can be one of your favourite products from us too in the near future. We have a new set of garden furniture which is the BillyOh Florence 4 Piece Rattan Sofa Set. This complements your beautiful garden and gives you also the full comfort and relaxation. We also have new designs of log cabin namely BillyOh Metro Log Cabin, BillyOh Highfield Log Cabin, and BillyOh Travis Log Cabin. 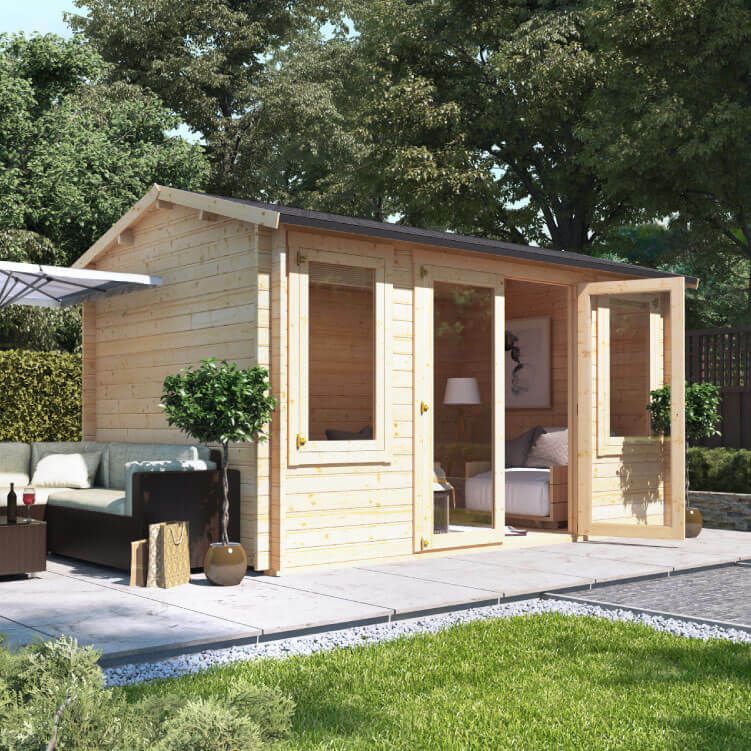 BillyOh Metro Log Cabin gives you the modern feel you are looking for a log cabin in your garden. It is ideal for a family with the tall height genes with its extra high central double doors. These new log cabin could give you the comfortable living you’d been aiming for in a cabin. BillyOh Highfield Log Cabin, however, has the modern apex design and also high central doors. With these features, you will be able to enter and move tall and huge large items easily such as your outdoor furniture and gardening tools. Lastly, our new BillyOh Travis Log Cabin that features a modern pent design that would be fascinating in your modern garden setting. Besides, the size adjustable side unit which is attached to the building is such a wish granted for your daily storage.